The minutes between a collapsed victim and use of an Automated External Defibrillator (AED) makes the difference in successful survival, early defibrillation and good quality CPR being essential. A heart attack leading to cardiac arrest is the biggest single killer in the UK. Early defibrillation is a major factor in determining whether someone survives a cardiac arrest or not. This four hour Automated External Defibrillator (AED) Training Course is taught only by Resuscitation Council accredited instructors who are clinical lead specialists. Automated External Defibrillator (AED) training courses are suitable for everyone whether or not they have received some form of first aid training previously. ResusPlus Training’s experienced instructors take candidates through each step of the rescue process, from understanding why someone would have a cardiac arrest, how to perform CPR, how and why a defibrillator works through to successfully being able to use a defibrillator safely and effectively. Automated External Defibrillator (AED) training courses are suitable for up to 8 candidates. Automated External Defibrillator (AED) training courses take 4 hours. Our very competitive pricing is from £397 for up to 8 candidates at your own venue. All our candidates learn how to use the type of defibrillator that they are expected to use. By the end of the course candidates should be confident,competent and safe in the use of AEDs and pass our assessment procedure to receive a certificate. 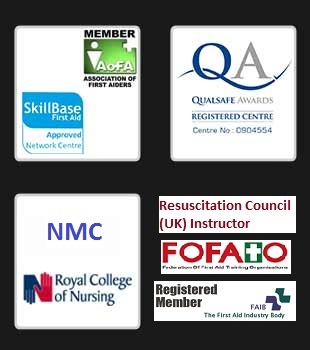 Automated External Defibrillator (AED) training course certificates are valid for 1 year. Our dental course was really informative, interactive and hands on. It covered all the medical emergencies and was friendly and fun! Thank you so much.